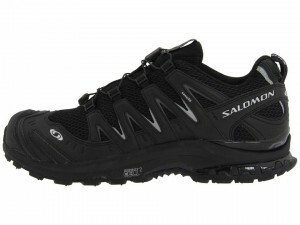 Salomon trail runners and boots have become extremely popular among thru-hikers. I happened to wear the Salomon’s XA Pro 3D Ultra 2 & XA PRO 3D Ultra 2 GTX (what a mouthful!) on my 2013 thru-hike. The only difference between the XA Pro 3D Ultra 2 & XA Pro 3D Ultra 2 GTX is the Gore-Tex waterproofing on the XA Pro 3D Ultra 2 GTX. I noticed many hikers (male and female) wearing this model and thought it was in need of a good review. In buying any shoe, it is advised to try on the shoe before you head out on the trail. I also must admit, I did replace the insole but this is completely optional and all dependent on your unique foot. *When it comes to weights provided on an online website or even a retail tag, take this information with a grain of salt. Since both my boyfriend and I still have our XA Pro 3D Ultra 2 GTX, I weighed them. These weights are more accurate than the XA Pro 3D Ultra 2’s which I could only find online. **Salomon offers a XA Pro 3D Ultra Climashield Waterproof (XA Pro 3D Ultra CS WP). This model is the same shoe but with a different waterproofing technology than Gore-Tex. Colors: Comes in a variety of colors. If purchasing at an outfitter, colors will most likely be limited. Sizes: The waterproof model does not come in wide sizes. After hiking two days in Nike Trail Runners that were one size too small, I was very relieved to have my XA Pro 3D Ultra 2’s. I liked how protected the exterior of the toe box was but I did feel a bit bulky the first couple days. After hiking nearly 1,000 miles in my XA Pro 3D Ultra 2’s, my foot was familiar with the shape and size of the model. However, since this model was coated in Gore-Tex, they were stiff around the ankle causing some irritation the first couple days. The Gore-Tex was also stiff around the toe box, I felt I could have used a wide pair but sadly the waterproof models do not come in wide sizes. Laces: Salomon’s unique lace design, Quicklace, has never let me down. Just don’t forget to tuck the excess laces into the pocket provided on the tongue. I never had the laces break. 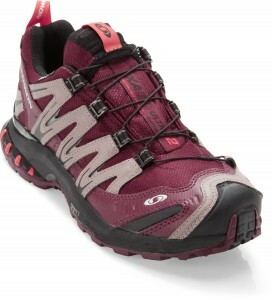 Customer Service: Salomon has great customer service and is very hiker friendly. If you do happen to have a problem, contact Salomon. 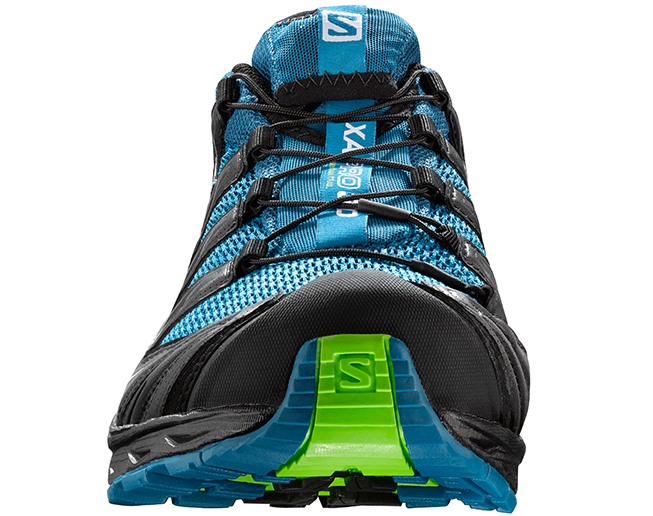 Salomon replaces pairs under 400 miles of use. Toe Protection: My toes felt protected because the tip of the shoe is covered very well by a protective rubber toe cap. 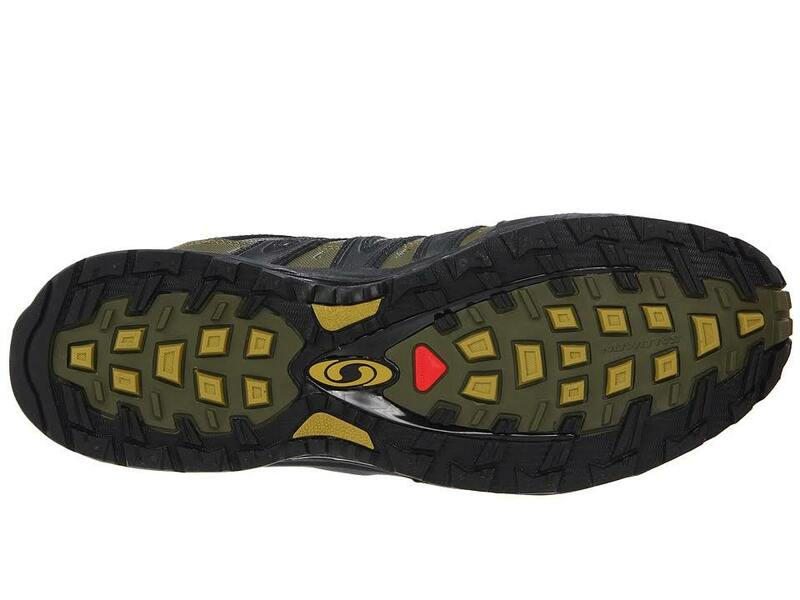 Also, in many other trail runner’s, the shoe’s tip seems to rip after excessive wear causing the tip to ‘flap.’ I never had this problem with these models. 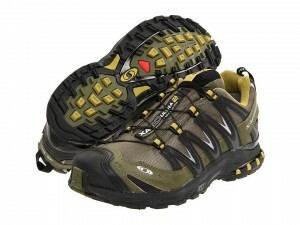 Thick Standing Base: The base of the shoe is thick enough to handle rough terrain. The shoe’s base also runs higher on the shoe’s sides allowing more of a shield against water (in both the waterproof and mesh lining models). Durability: My first pair of XA Pro 3D’s lasted about 950 miles and my second pair, XA Pro 3D Ultra 2 GTX, has 600 miles on them and are still in great condition. 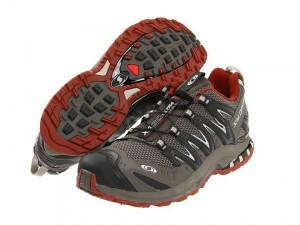 Needs Breaking In: The Ultra 2 GTX’s felt a little stiff around the ankle. The bottom grips were very slippery when in contact with wet rocks for both models. Both of these characteristics seemed to change after a few days of hiking. Boxy/Bulky: Compared to any minimalist shoe, this shoe is a bit bulky. The toe box appears bulky. Not Totally True to Size: Especially if you are thru-hiking, I would recommend buying these in a wide or a half size up if your feet are not the most narrow. Laces: The laces are a pro and a con. Although I never had this happen to me, the laces can be difficult to replace if broken. Waterproof: I used the XA Pro 3D Ultra 2 during summer but switched to the waterproof Gore-Tex coated XA 3D Ultra 2 GTX for winter (I summited Katahdin in October). I enjoyed the waterproof especially while walking through those ridiculous bogs in Maine. REMEMBER: Not everyone is meant for waterproof. Waterproofing lacks ventilation and may cause more sweating in the warmer months. Waterproof does mean slow drying if the interior gets wet. Lighter Alternative: If these models appear too bulky or heavy for your taste, I would recommend Salomon’s XA Comp 7 or XT Wings 3. Boot Alternative: If you are a boot fan or just in need of more ankle support, the XA Pro 3D Ultra 2 GTX’s come in a mid-rise. I have only seen this model online. Based on my own experience, I have rated these shoes on a 1-5 scale, 5 being the best rating. I give the comfort a 4 because of the time to break in the shoe. I also read many reviews about the arch being too high for some hikers. Since I have a high arch, this was not a problem. Because of this, I highly recommend trying the shoe before purchase. Although the pair took me a few days to get use to the bulkiness, the protection was worth it. My toes and soles felt protected. This shoe is referred to as a trail runner but I would not run in this shoe because of the weight and thus the reason I give it a 4 out of 5. 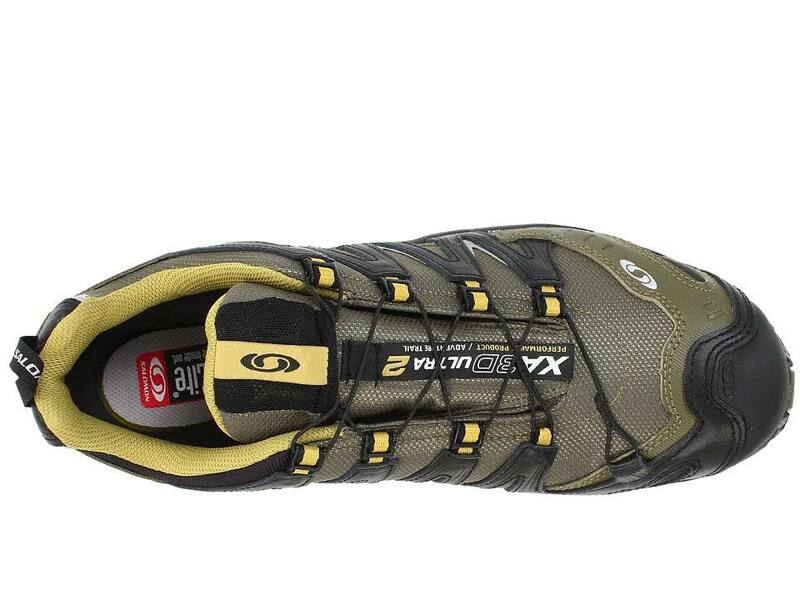 This shoe is a great hiking shoe, however. 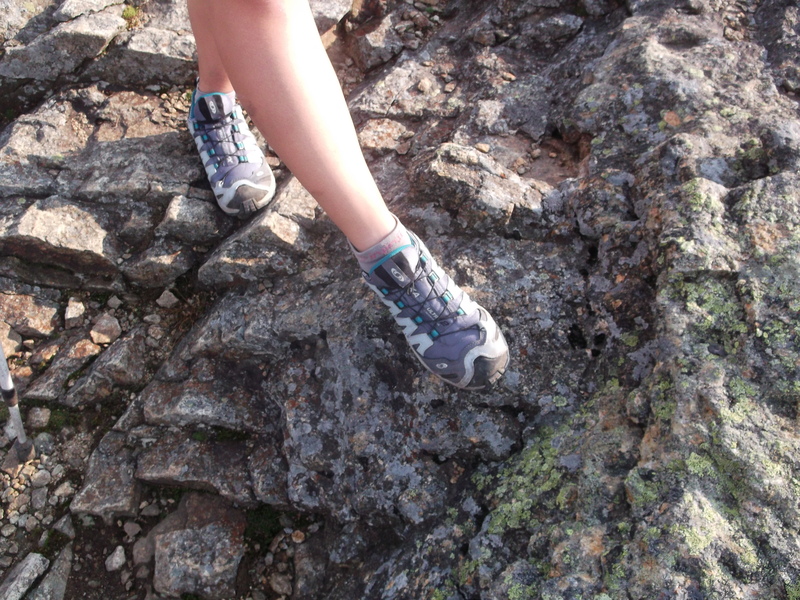 I felt more efficient from the way the shoe hugged my foot and provided a solid base to tackle PA’s toughest rocks. I give this shoe a 4 for traction. It takes a few days to ‘roughen’ the Contragrip outer soles so they are not so slippery when in contact with wet rocks. However, after this breaking-in period, I was completely satisfied with the shoe’s traction. Without the waterproof layer, this model proved to dry relatively quickly because of the breathable mesh lining. The Gore-Tex layered shoe proved to dry much slower, obviously. However, I did think the length of time to dry, considering the model was waterproof, was quicker than expected. I give this shoe a 5 out of 5 for value because of Salomon’s outstanding customer service. Sure, the initial cost is pretty pricey but totally worth it after receiving a new free pair. Laces in my pair cut holes into the Goretex fabric in multiple places where they touched the fabric. when returned to store, another pair was there for the same problem. of the original sole will be reconsidered since the changes turned it from superb in performance to below average in terms of walking experience.